Greetings! 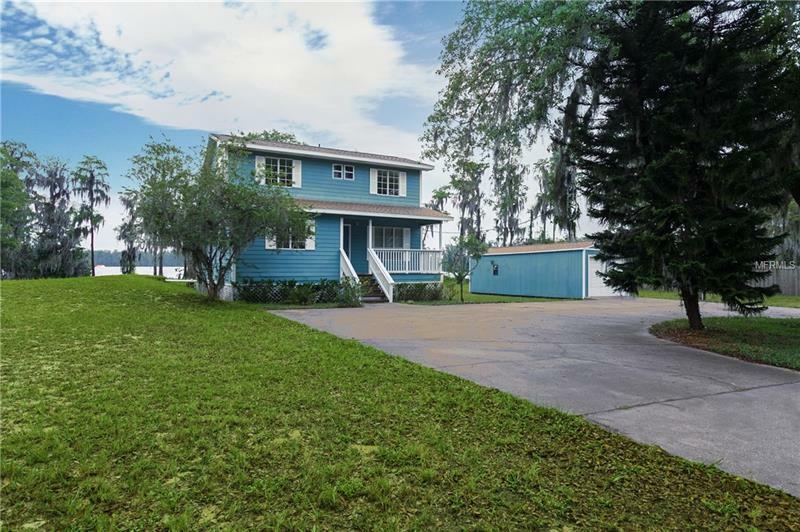 Introducing this 2 story, single family home located on 2 acres of land on Lake Gifford. This home has over 166ft of lake frontage with room to build a nice dock to go fishing off from. This two story home has 3 bedrooms and 2 bathrooms, with the master bedroom located on the first floor (incase a family member cannot climb stairs). This home is a place of piece and quiet where you do not have many neighbors. On the first floor you have wood flooring in the living area and ceramic tile in the kitchen. The kitchen and bathrooms are clean and fresh, each with a window for natural light. Massive deck to sit out side on your rocking chair over looking the sun go down on the lake, all while someone is bbqing your favorite meal. Watch each morning as the sun rise from all of the living area and kitchen. There is no HOA for this home which allows you more flexibility for having chickens or building another work space. There is a detached Garage for one car and room for all of your DIY gear. No more trying to find parking, this home has plenty of free parking for your vehicles. You are not far from the entrance to Walt Disney World and all its attractions, the NEW Margarita Ville, other entertainment, restaurants, shopping and much more. Come home to you own private hideaway.